Palestinian National Authority President Mahmoud Abbas on Wednesday said that protests against the US decision to recognize Jerusalem as Israel's capital has left 30 people dead, 7,000 wounded and some 1,000 imprisoned.Abbas made his remarks on the opening day of al-Azhar International Conference in Support of Jerusalem held in Cairo, stressing that Palestinians will continue to defend their demands peacefully, Efe news agency reported. "We will adhere to peace, but peace shall not be at any cost, and we will seek all options but not terrorism and violence," he said, asserting that the day of liberation will come. "We will not trust the American administration which is no longer suitable for the role of mediator of the peace process," he reiterated, according to Palestinian News and Info Agency WAFA.Abbas said the decision taken by US President Donald Trump blatantly challenged the feelings of hundreds of millions of Muslims and Christians and was a flagrant alignment with Israeli "crimes". 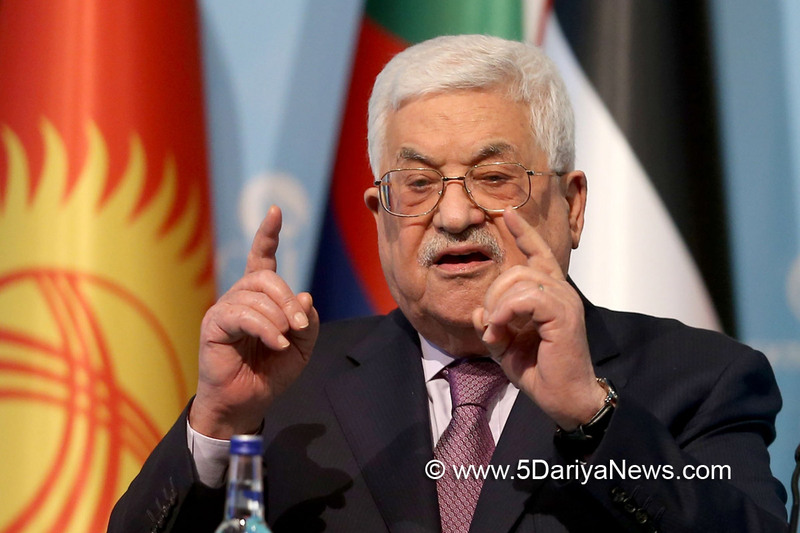 The Palestinian President also criticized the inability of the international community to implement any resolutions approved by the United Nations in favor of the Palestinian cause.He recalled that there have been 705 resolutions of the General Assembly and 86 passed by the UN Security Council since 1947.Abbas pointed out that the Palestinians have reduced their demands and they now ask for only 22 percent of historic Palestine's original territory. Yet, this reduced claim is not accepted either.The Palestinian leader reiterated that Jerusalem was the eternal capital of Palestine and without this recognition, he stressed, there will be no peace in the region or in the world.The conference, organized by al-Azhar, the world's largest Sunni Islamic center of learning, was also attended by the Arab League's Secretary General Ahmed Aboul Gheit, and hundreds of representatives from a variety of religious backgrounds.